Known as the Heart of India because of its location in the centre of the country, Madhya Pradesh has been home to the cultural heritage of Hinduism, Islam, Buddhism and Jainism. Innumerable monuments, exquisitely carved temples, stupas, forts & palaces are dotted all over the State. The unspoilt and the undiscovered natural beauty of Madhya Pradesh is varied. Consisting largely of a plateau streaked with the hill ranges of the Vindhyas and the Satpuras, the State has everything. Rising from the hills are the main river system – Narmada and the Tapti, running from east to west and the Chambal, Sone, Betwa ,Mahanadi from west to east. Spectacular mountain ranges, meandering rivers dotted with hills and lakes and miles and miles of dense forests offering a unique and exciting panorama of wildlife in sylvan surroundings. One third of the state is forested and offers a unique and exciting panorama of wildlife. One has the rare opportunity to spot the tiger, the bison and a wide variety of deer and antelope in the National Parks of of Kanha, Bandhavgarh, Shivpuriand many others. Its cultural heritage is ancient and diversified. Exquisite carved temples, innumerable monuments, stupas, forts and palaces brings to the minds of visitors, the visions of empires and kingdoms, saints and philosophers, poets and musicians of Hinduism, Buddhism, Jainism and Islam. The famous poet, Kalidas and the famous musician, Tansen of the Mughal era, were from Madhya Pradesh.. Many cities in Madhya Pradesh are extraordinary for their architecture and or scenic beauty. Pench National Park, Madhya Pradesh. Amarkantak, located at an altitude of 1065 mts at the meeting point of the Vindhya and the Satpura mountain ranges. Sanchi, a small village in the Raisen District of the state, is the location of several Buddhist monuments, dating back to the 3rd century BC. It is one of the important places of Buddhist pilgrimage and is right in the middle of the state. Of the many stupas in Sanchi, the ‘Great Stupa’, in Sanchi is the most attractive one, commissioned by the emperor Ashoka The Great. The Ahilya Fort at Maheswar is an experience straight out of the 18th Century. 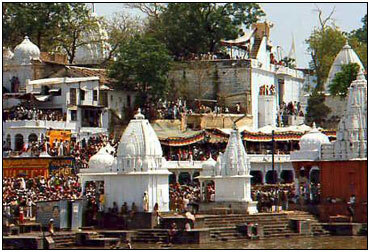 The Fort has temples dedicated to various avatars of Lord Shiva, as well as crematory cenotaphs of the rulers of Indore. Ahilya Fort was the capital of one of India’s celebrated women rulers-Ahilya Bai Holkar. HI Destination Management Pvt. Ltdgives you a golden opportunity to explore the all new lovely places in KanyaKumari. With customized tour and attractive itinerary you indeed, feel lucky. Take a tour to Kanya Kumari. Different states, different cultures, varied living styles and various languages, different traditions, but just one soul, this is the true identity of India. These different shades of India are born out of its colourful states. And Festivals in India are just another lively way to reflect the soul of vibrant Indian culture. 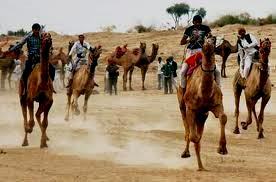 But Bikaner Camel festival is somewhat different than other festivals. The chief purpose of this festival is to introduce the world so many wonderful things which are interesting and hidden so far. Festival is just an excuse to celebrate the life at its maximum. Also this is a charming fest that showcases the culture of Rajasthan in subtle way. As it is can be easily assumed by the name this festival is dedicated to the camels which are widely famous as the “Ship of Desert”. Here these beautifully decorated Camels participate with their owners from the every parts of the Rajasthan. This festival takes place in the land of Bikaner, Rajasthan every year in January. Organized by the tourism art & cultural department of, Bikaner festival showcases the vibrant cultural sides of Rajasthan in a quite simple way. When everything here is focused on Camels then milking out of Camel is a very popular one Bikaner Camel Festival. This milk of Camel is salty in taste though having great nutrition in it. You can better taste the sweets and tea made of the camel milk in the Bikaner Camel Festival. Those who want to watch & witness the desi wrestling (Kushti) can enjoy here, a competition called Mr. Bikana, which is held to choose the winner and the physically strongest male. If you are thinking of a festival in Rajasthan then you can’t imagine it without the superb music & dance shows. Under the best cultural activities you can enjoy gypsy dance or folk songs of the Rajasthan. It hardly matters from which part of the world you belong, the music you listen here is entirely spell binding. The wonderful music eves at the Bikaner Camel Festival are illuminated by campfires, and folk dancers and musicians just fills increase the curiosity of eager spectators. A desert fireworks spectacle concludes the festivities on the second evening. 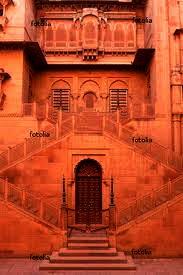 Another Desert city of Rajasthan, Bikaner was formerly known as the Princely State of Bikaner. This is the only camel breeding grounds of Rajasthan. Lots of things are here on offer within the city, and you can take a walk around and inside Junagarh Fort built by Raja Rai Singh in association with Mughal emperor Akbar. Unlike the other major forts of Rajasthan this one is not built on a hilltop. HI Destination Management Pvt. 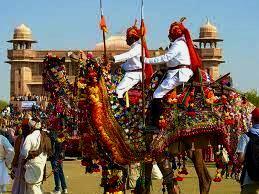 Ltd. invites you to walk in this wonderful Camel festival of Bikaner, Rajasthan; the Royal state of India. 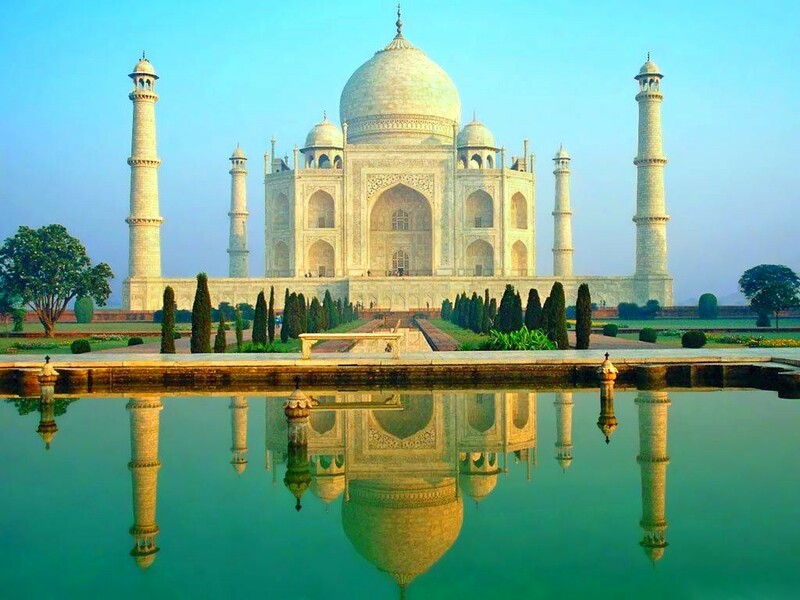 We make your journey to India nice and on affordable price. Jharkhand is the state can also be said as a blessed land in earth equipped with all kind of natural credibility and treasures to mankind .Beautiful Jharkhand allures people from all around the world to make their visit. Jharkhand a newly formed state from the year 2000 and previously it were a part of Bihar is now highly projecting into the industrial values to the country. About Jharkhand- Came out as a divided part of Bihar state. The capital of the state is Ranchi and this entire state is encircled by some neighbouring states such as Bihar, Madhaya Pradesh, Orissa and West Bengal. This state is developing one but its surreal natural beauty and pleasant locations grabs your attention at once and just by looking the images. There are many places here to visit like Hazari bagh. 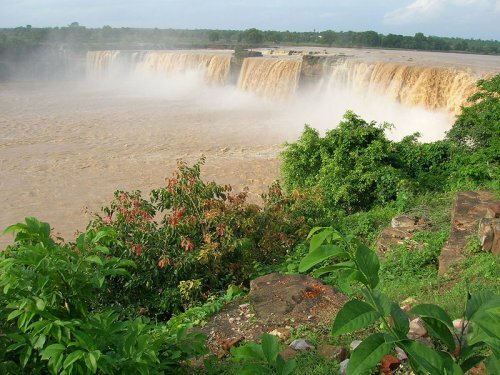 Swarnarekha river falls from a height of 320 feet making a wonderful scene, Hundru fall. During rainy season it takes a formidable form but in summer it turns into an exciting picnic spot in Jharkhandmoviesmalayalam. Park which is 19 km from the Hazaribag town and 91 km from the Ranchi airport, is adorned with scenic beauties. 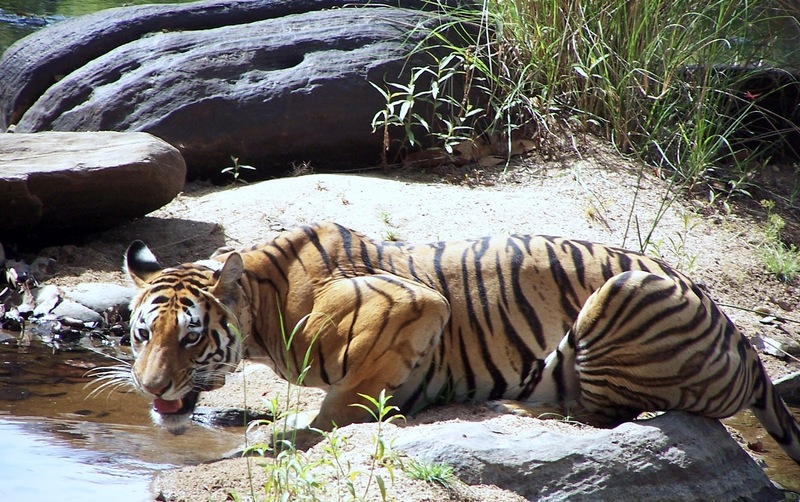 The park has tigers, panthers, sambhars, spotted deer, bisons and a number of mammalian faunas . Khandoli Park is a famous picnic spot, 8 km north-east of Giridih. Tourists can enjoy facilities for boating, rock-climbing, kayaking elephant & camel safari. Watch tower which is 600 ft high offers a pictorious view of site. Nakshatra Van in Ranchi is constructed in the year 2003. It is a Designed Project in which 27 plants been planted according to the 27 planets of Astrology Science. Other tourist attractions are Musical Fountain, Medicinal Plants etc. Latehar District has always been the No.1 destination for Adventure Tourism in Jharkhand. Also lakes in and around Ranchi also provides boating facilites. Tourists can also try rock climbing, parachuting etc. 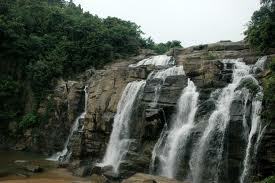 Kachni river falls from an altitude of 144 feet near a village called Taimara makes Dasahm fall. The pools at the bottom of the falls are favourite picnic and bathing spots. It is 34 kms from Ranchi on Ranchi-Tata Road. Enchanting meadows of Garhwal is filled with spirituality, peace; and its land is the ultimate destination for adventure as well as nature lovers. Just throw a glance and you get get bowled on its divine beauty. Explore your true-self and test your adventure skills among the mystical mountains of North India. 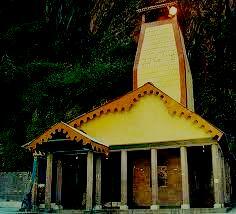 About Yamunotri-Yamunotri is the origin place of the river Yamuna, one of the famous & holy river duos, Ganga- Yamuna. Situated at an altitude of 3,291 m it is the western most shrine in the Garhwal Himalayan region. Yamunotri is also renowned for high altitude trekking destination in Himalaya region after Gangotri. As mythology says- River Yamuna is called the daughter of Surya, the Sun and the twin sister of Yama, the Lord of Death. Anyone who bathes in its holy water has to be spared from a tortuous death. The physical source of Yamuna is a frozen lake of ice and glacier called Champasar Glacier. This glacier is located on the Kalind Mountain at a height of 4,421 m above sea level, about 1 km higher. Since the location of the glacier is high and it is extremely hard to accessible; hence seeing the feasibility of the pilgrims, the shrine (the temple devoted to River Yamuna) has been located on the foot of the hill. Trekking in Yamunotri- The trek to Yamunotri is spectacular, surrounded by a panorama of rugged peaks and thick forests. 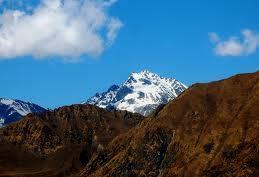 Trekking lovers can head for trekking to Dodital from Yamunotri, and literally from the Dodi Lake. Dodi tal is set at an elevation of 3024 m north of Uttarkashi. Crystal clear waters are surrounded by dense oak woods, pine, deodar and rhododendrons. The lake is full of fish and is known for some rare species like the Himalayan Golden Trout. The forest surrounding the lake is also full of wildlife. It provides an idyllic set up for rest and recreational activities like angling, boating and bird-watching. The trek from Dodital to Hanumanchatti via Darwa Top takes two days, moves on to the upper reaches of the Garhwal Himalayas in Yamunotri, the place where the sacred river Yamuna originates from. How to Reach: The road to Yamunotri diverts at Dharasu, on way to Uttarkashi. Important road distances are : Hanumanchatti 14 kms; Dharasu 107 kms; Tehri 149 kms. The nearest Airport to Yamunotri is Jollygrant , from here you can get the cabs and other luxury cars to Yamunotri but it would be preferable if you hire a tour agency in order to get a comfortable trip.